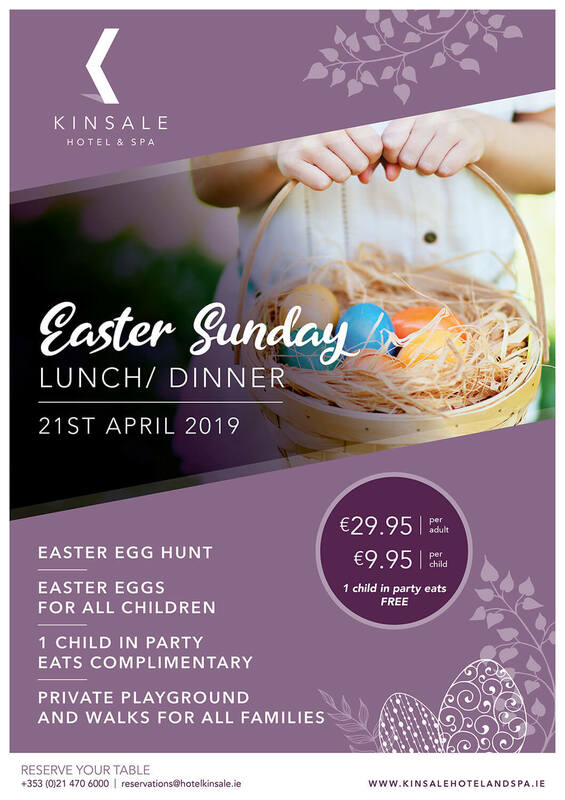 Join us for our traditional Easter Sunday Lunch in our newly refurbished Rockpool Bar & Restaurant at Kinsale Hotel & Spa. 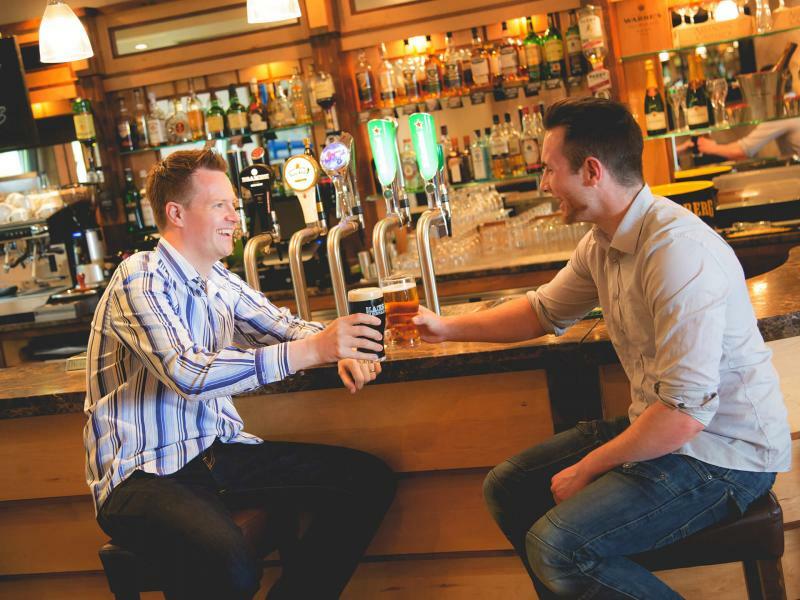 This is the perfect treat for all the family this Easter, as you soak up the Coastal atmosphere and enjoy a relaxing Easter Sunday. Junior guests will enjoy healthy options from our Children's Menu and will also be entertained with an exciting Easter Egg Hunt. 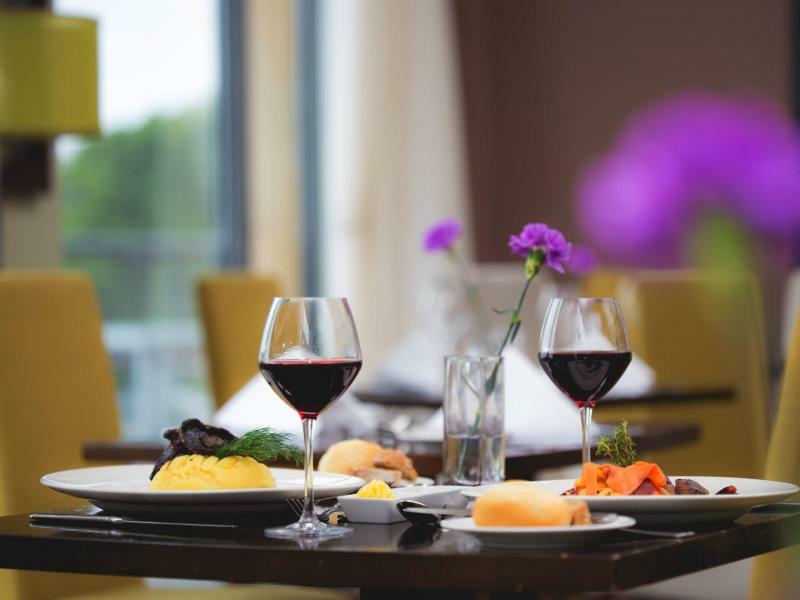 Easter Sunday Lunch / Dinner is priced at €29.95 per adult and €9.95 per child. (1 child in party eats complimentary).